A good friend sent me a copy of this brand new book, and I have to say that it is outstanding! 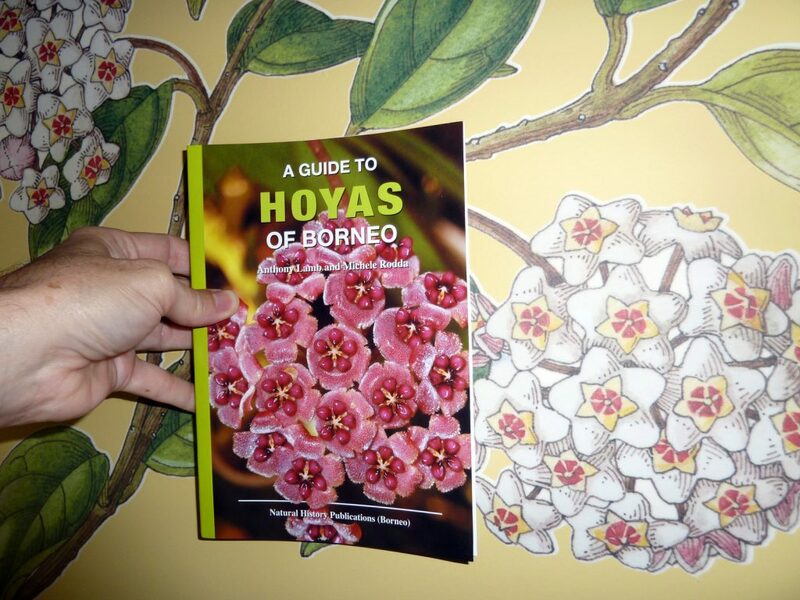 I’m so excited about A Guide to the Hoyas of Borneo that it is hard to know where to begin. First of all the book is in full color, with some of the most amazing photos of Hoyas growing in their natural environment that I have seen. There are sections on where most of the 67 covered Hoyas live, which is very helpful when trying to replicate those conditions at home. There are many Hoyas covered that are extremely new discoveries that have yet to make it to the trade including Hoya medinillifolia, which actually has blue tinted flowers! There are photos of seedpods of many species, which I have never seen. Ever wondered what the seedpods of Hoya imperialis look like? It is shown in this book. Here is a photo of the book in my hand – buy the book, you won’t be sorry! This entry was posted in Hoyas, Uncategorized on July 17, 2016 by Doug.